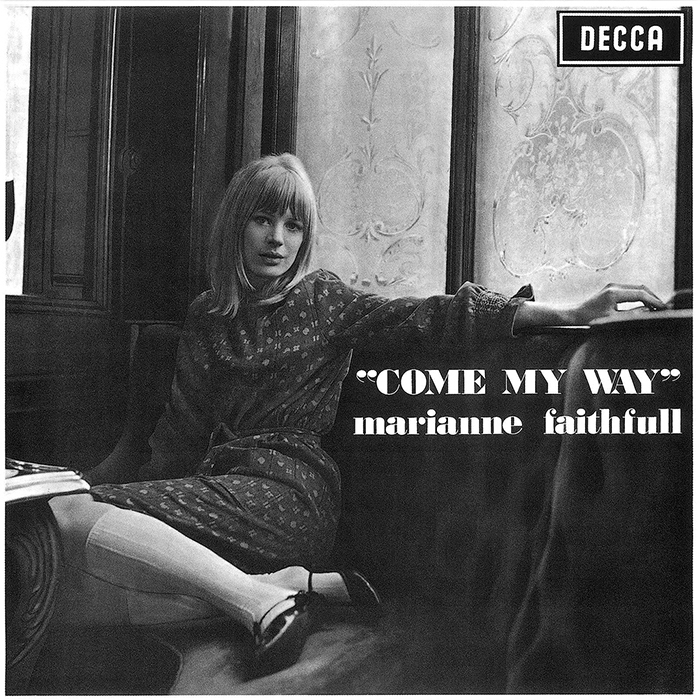 Come My Way is the second studio album by Marianne. It was released simultaneously with the eponymous Marianne Faithfull on 15 April 1965 by Decca Records. The double release was a result of different creative directions: While the record label pressed Marianne to record a pop album, she wanted to record an album of folk songs. Even after the label suggested an album containing both genres, Faithfull decided to make two separate albums instead. The cover photography was by Gered Mankowitz and designed by Chris O'Dell. The album was produced and arranged by acoustic guitarist Jon Mark. Martin Haines was the engineer. Its original issue on CD included a random selection of bonus tracks including the decidedly non-folk 'Et Maintenant' and 'Sister Morphine'.